Throughout the year, The Brittany Fund hosts fundraising events like a 5K/10K. 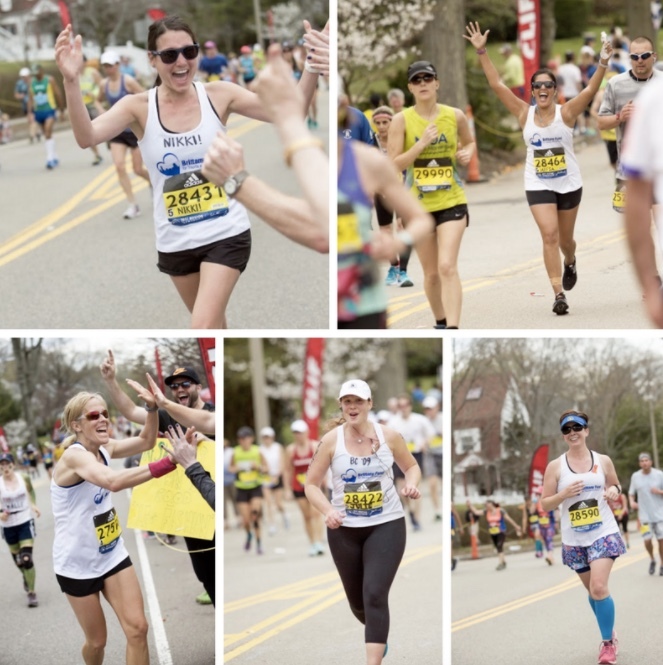 We also have a team for the Boston Marathon each year, and starting in 2018 a team for the Falmouth Road Race! You can learn more about each individual event on their respective pages. Thank you for your support! Sign up for the Brittany Fund newsletter to find out first about our events! Brittany Loring is the founder of The Brittany Fund. She sustained severe injuries at the Boston Marathon bombings in 2013 and, two months later, created The Brittany Fund to give back to other trauma survivors. The Brittany Fund strives to provide financial support to survivors of trauma so they can focus on their physical and emotional recovery. Listen to Jillian's story to hear how The Brittany Fund made a difference in her recovery.